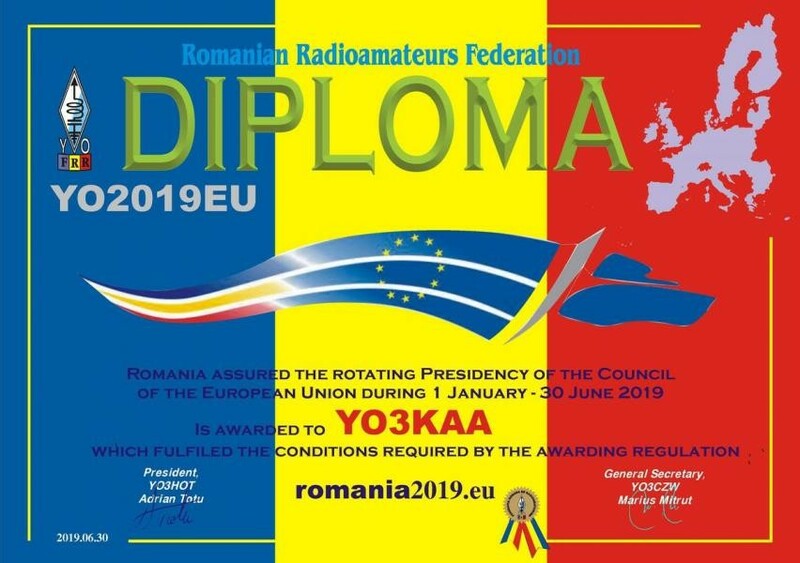 The YO2019 EU Certificate will be issued to each amateur radio who has made at least three QSOs in the ham radio bands with the special radio station: YO2019EU. The QSOs must be done in at least two different ham radio bands or working modes. All the QSOs must be done during the period from: 01-01-2019 until 30-06-2019. Certificate is free of charge and is solely issued in the electronic format.